Marshall, Gerstein & Borun is pleased to announce its co-sponsorship of the Chicago Committee on Minorities in Large Law Firm's “Sweet Home Chicago” event. The annual holiday event brings together minority law students, law firm attorneys and in-house counsel for an opportunity to begin building a professional network in Chicago. The program also includes information for useful tips on “How to Get the Job You Want After Law School.” The program is on Tuesday, December 28, 2010, 6:00–8:30 p.m. More information can be found at www.chicagocommittee.org. “The Chicago Committee's programs provide essential networking, coaching and mentoring for minority law students and lawyers. 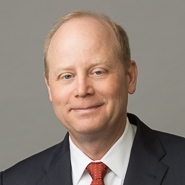 Our Firm has a shared responsibility with other law firms and businesses to engage in sustainable and collaborative activities that foster greater diversity and inclusion in the legal community,” said Roger Heppermann, Chair of the Firm's Diversity Committee. Please visit the Marshall, Gerstein & Borun diversity web page for further information on its initiatives and involvement in diversity programs.